Juma Mosque. 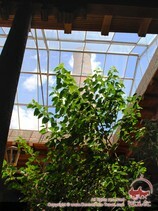 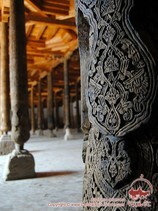 Friday Mosque in Khiva. 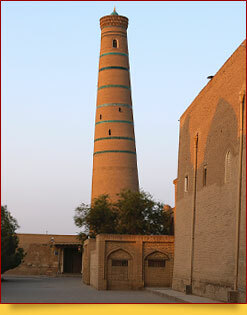 Uzbekistan Architecture. 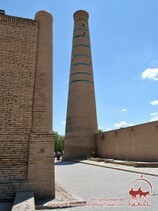 The central entrance to the mosque faces the only Khiva straight street running from Kunya Ark Fortress. 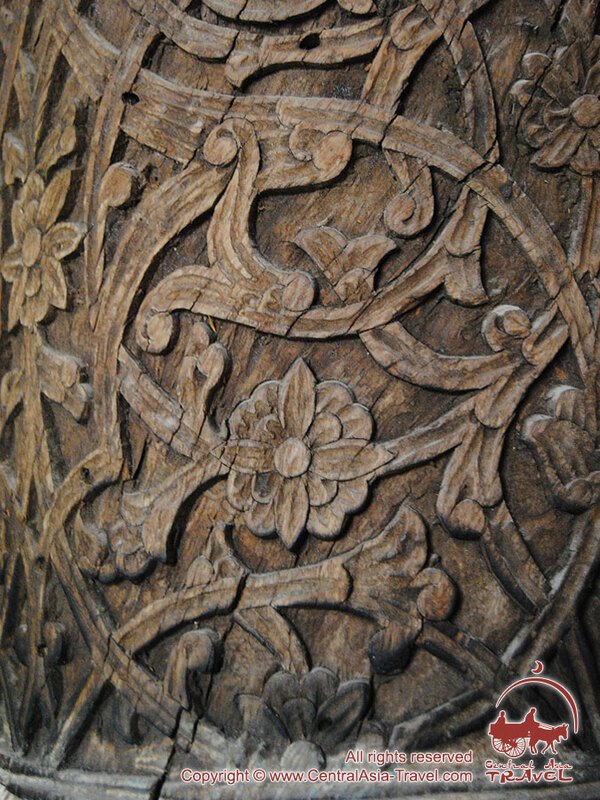 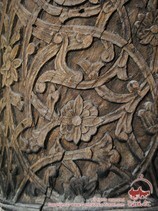 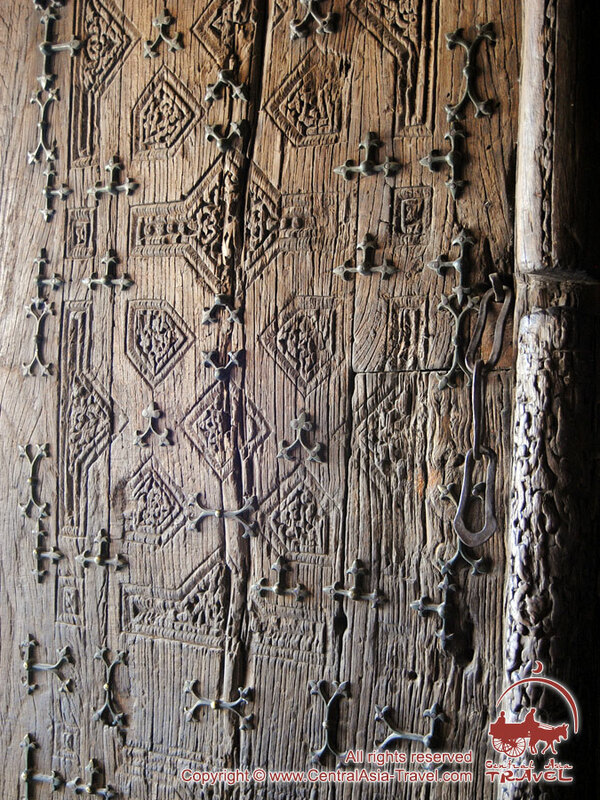 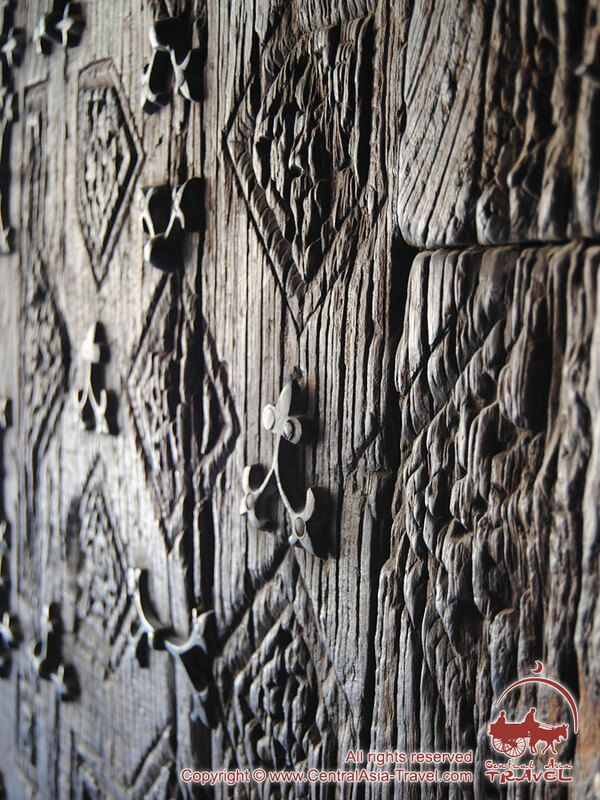 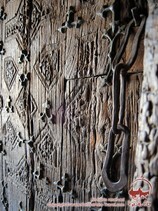 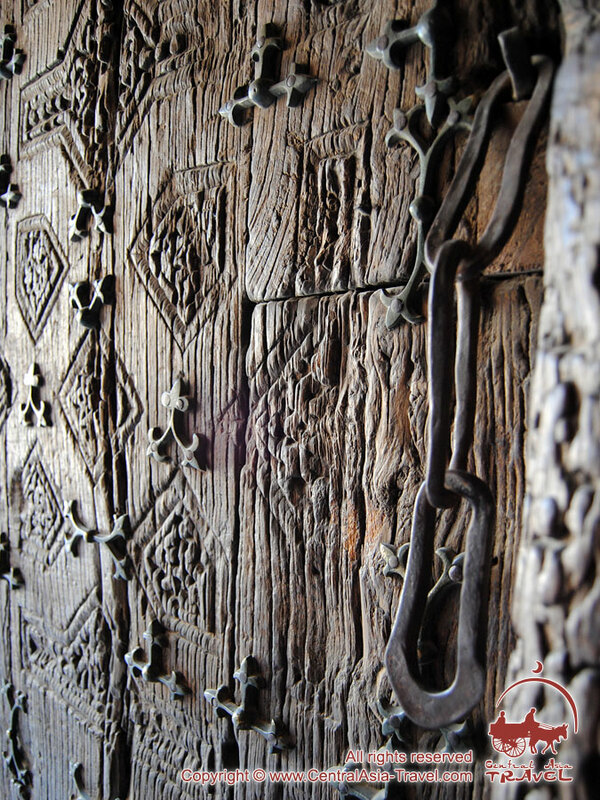 It is a wooden door richly decorated with beautiful carvings. 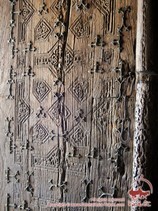 The door is over seven centuries old. 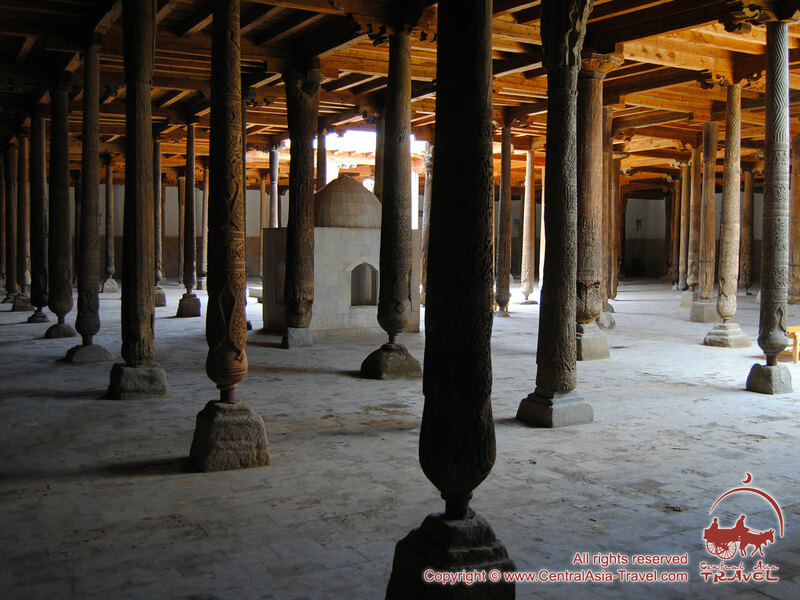 Yet it is the prayer hall of Juma Mosque that is so attractive. The roof of the hall lies on over 200 wooden pillars. 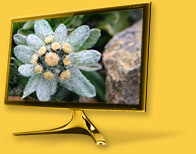 Their height varies from 4 to 5 meters. 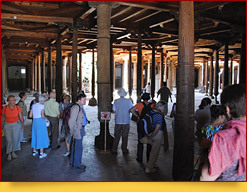 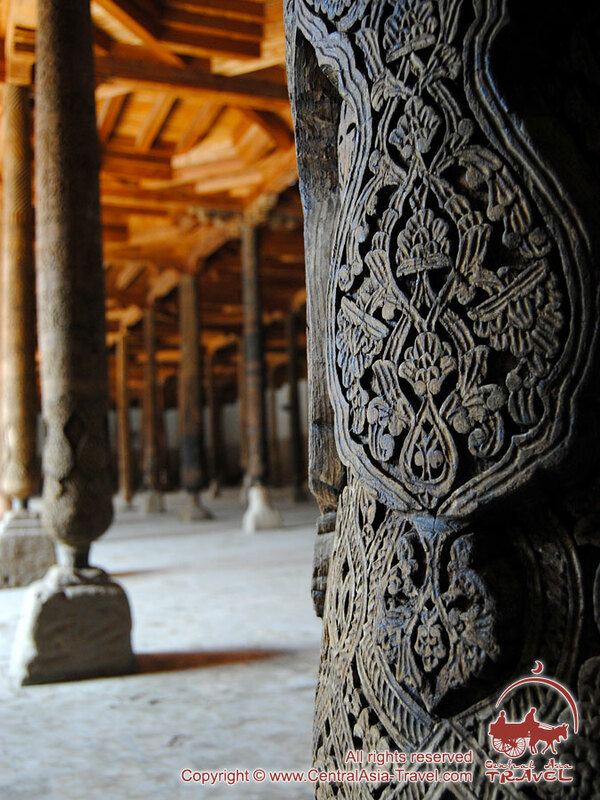 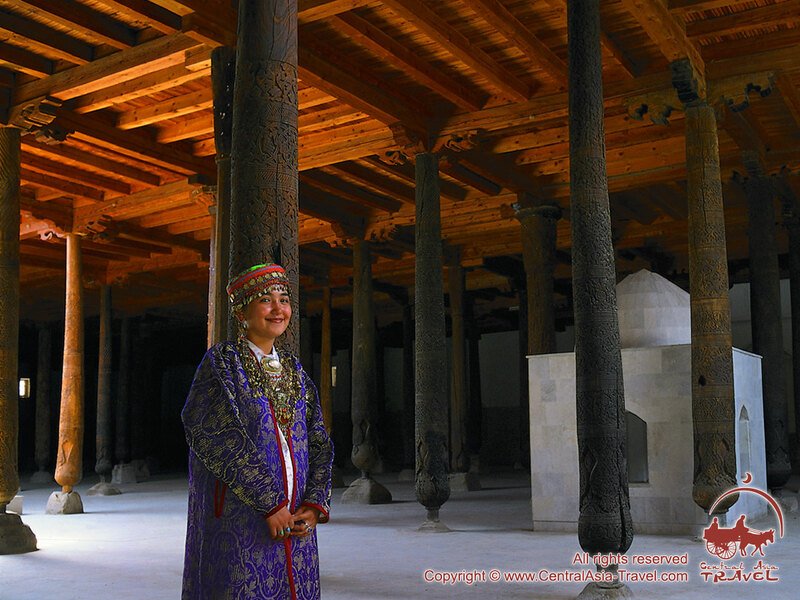 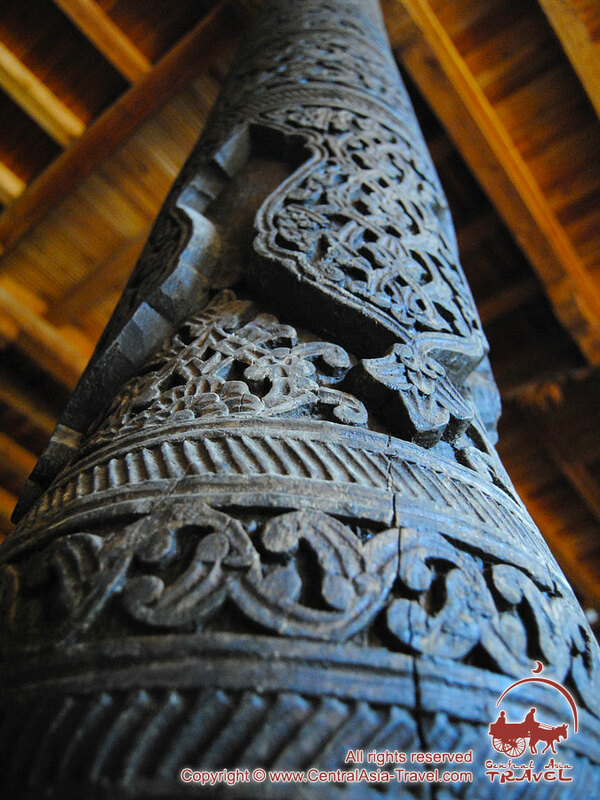 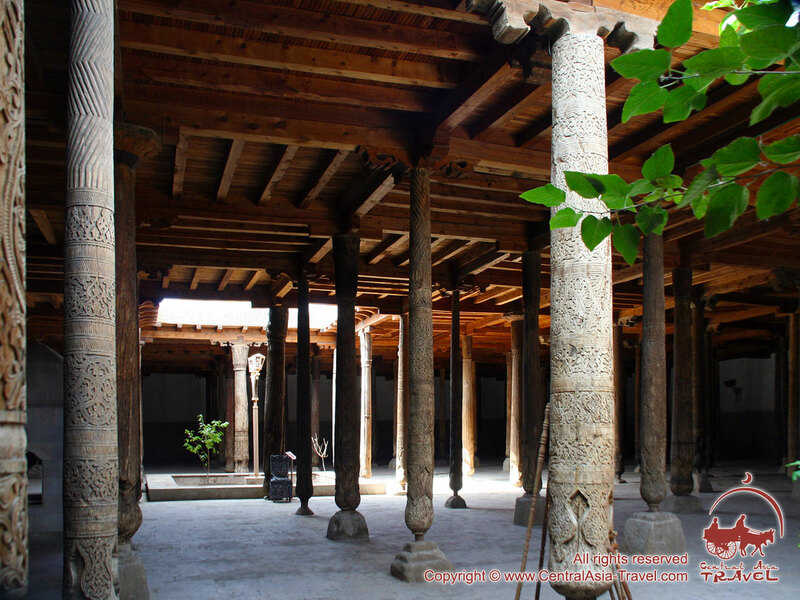 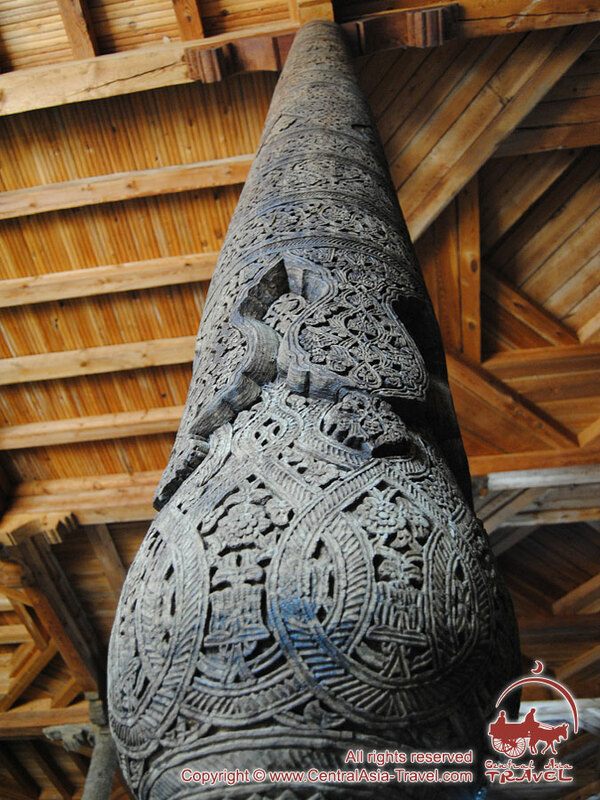 This hall is like a museum of Khiva wood carving styles of different times - that is what the pillars show us. 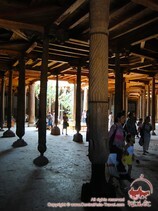 A few of the pillars date back to the 10th с and are extremely interesting. 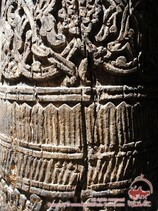 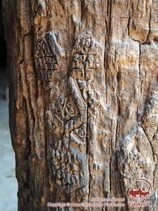 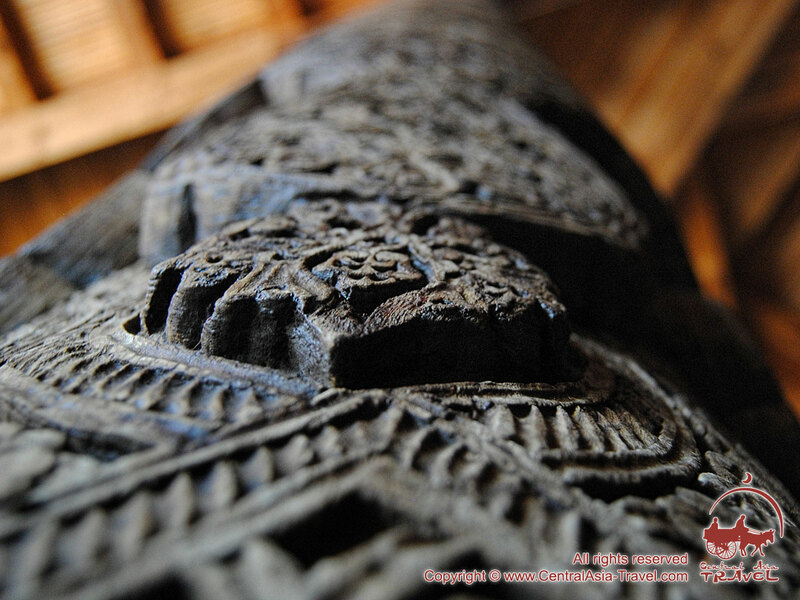 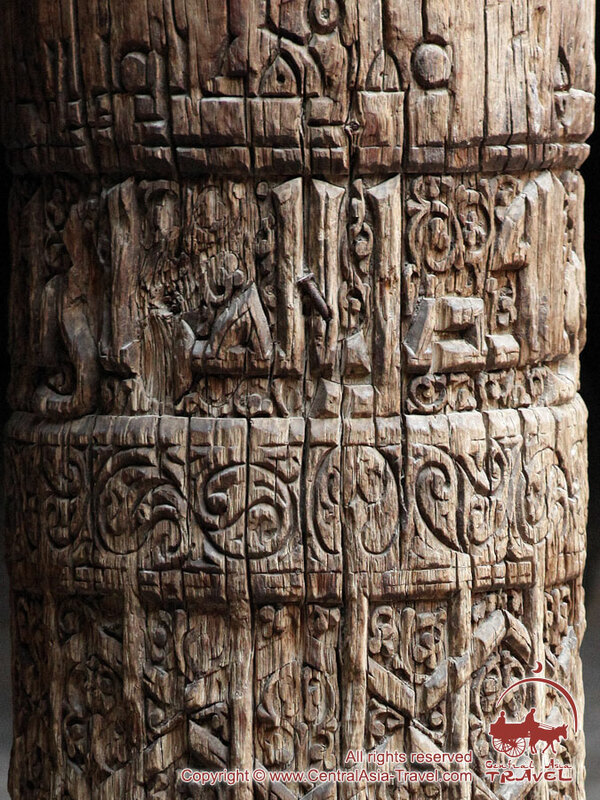 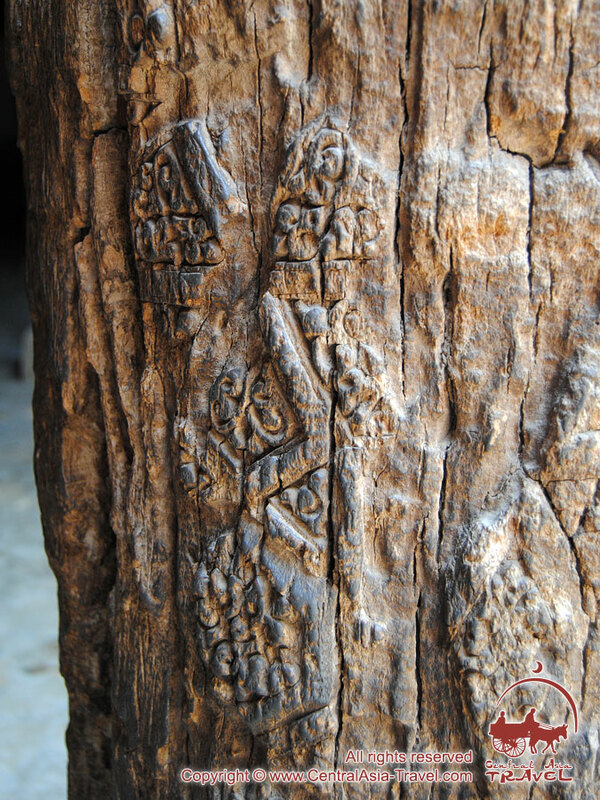 Another 20 or so date back to the 11th - 14th с, as the styles of their carving patterns prove. 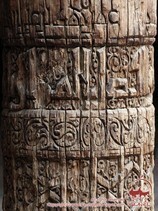 The pillars of the 16th с bear flat relief patterns that are obviously imitations of older techniques. 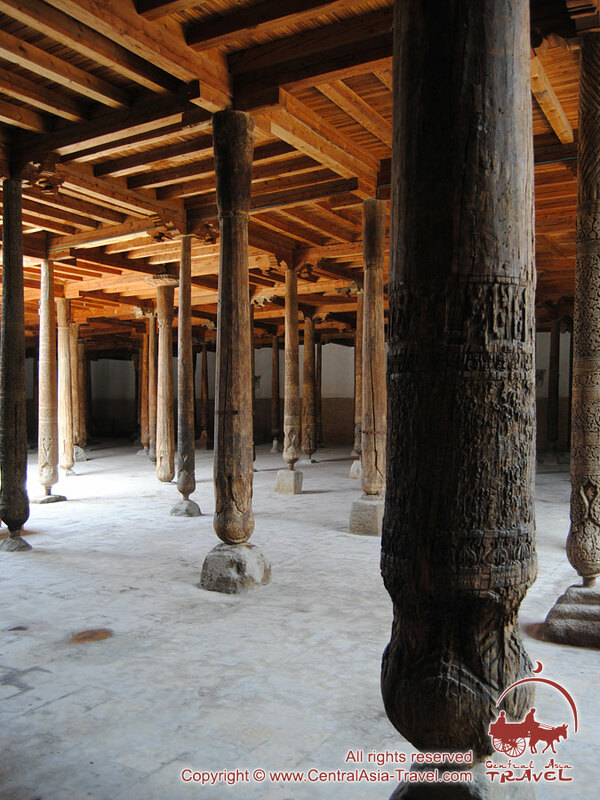 All the pillars stand in a harmonious combination, though each of them has its own history. 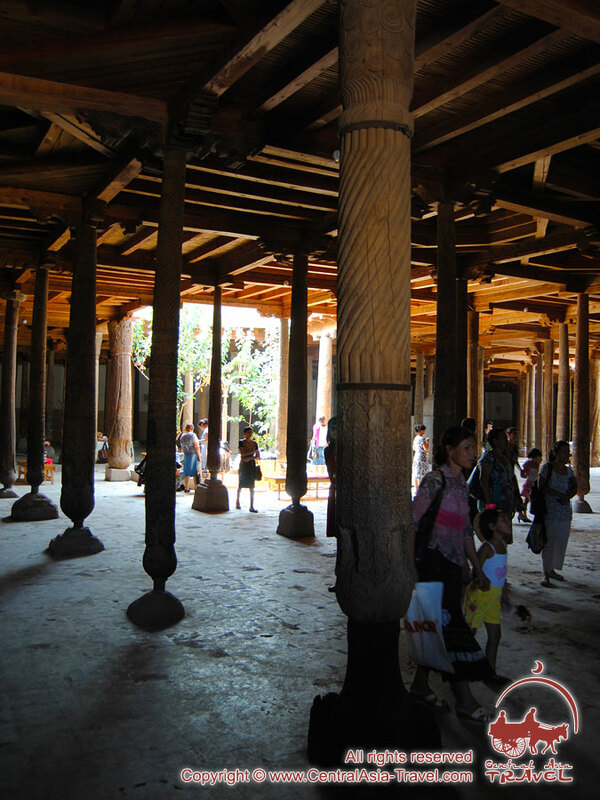 Some of them belonged to the previous mosque, some were brought from other old buildings, and some were military trophies. 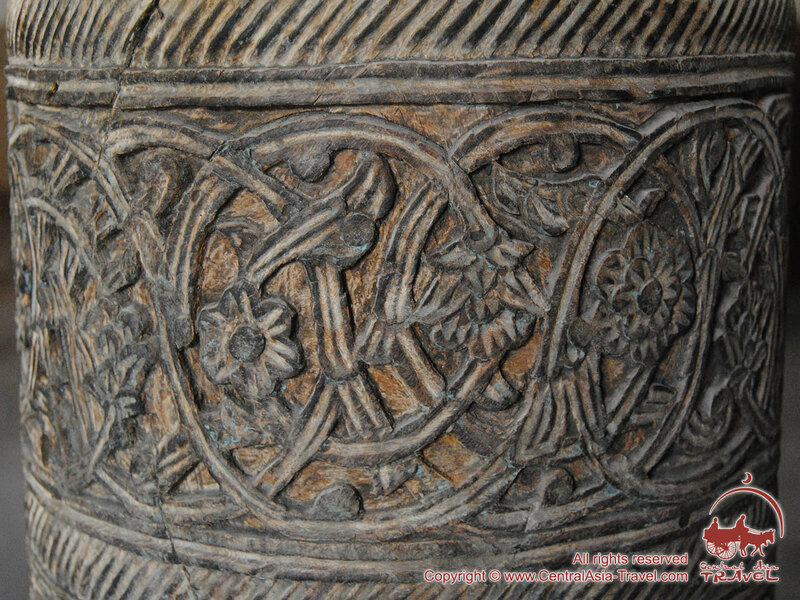 However, all of them look splendid with their rich decorative carvings; the lower part of each of them is made to look like a rounded lower part of a pitcher - with carved plants climbing out of it. 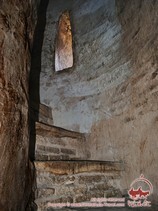 The southern wall has lancet arches in the middle. 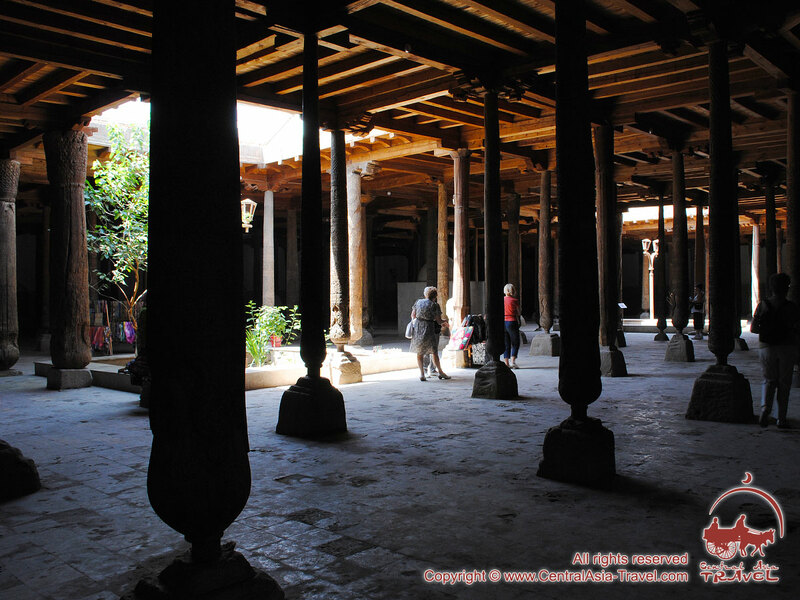 The light enters Juma Mosque through three openings in the ceilings, which creates beautiful light tricks inside the generally dim hall. 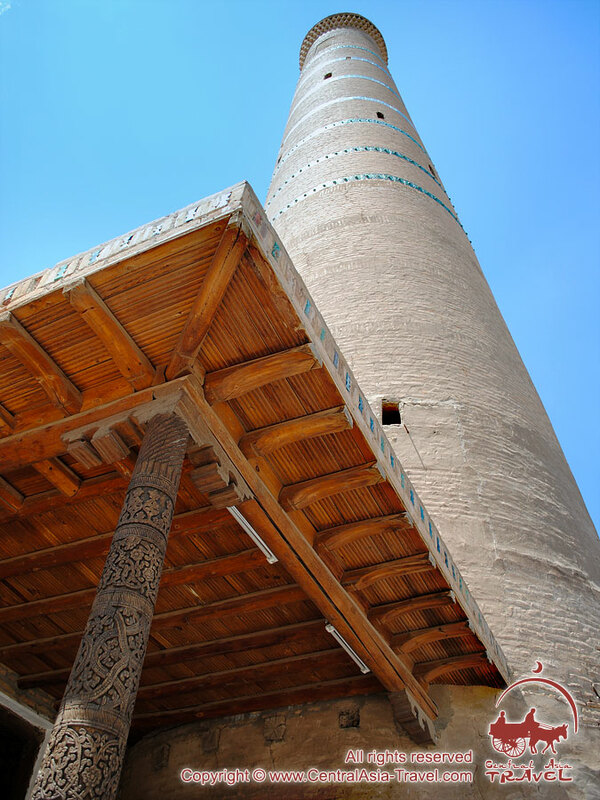 Juma Mosque and the minaret built next to it at the same time are the center of Ichan-Kala and the starting point of Khiva sightseeing tour. 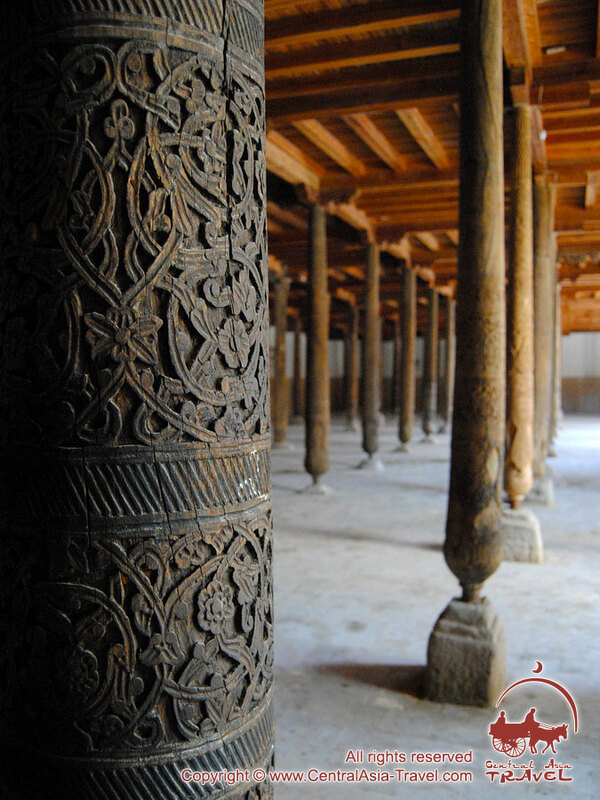 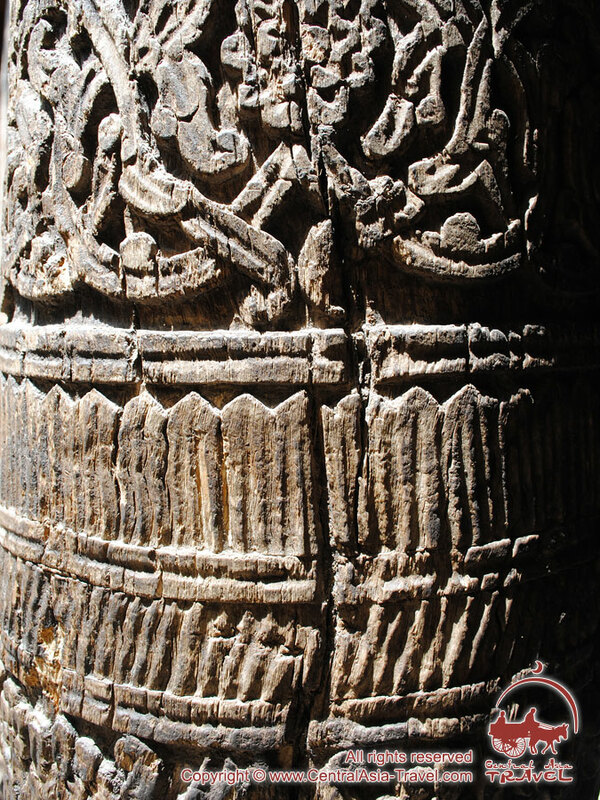 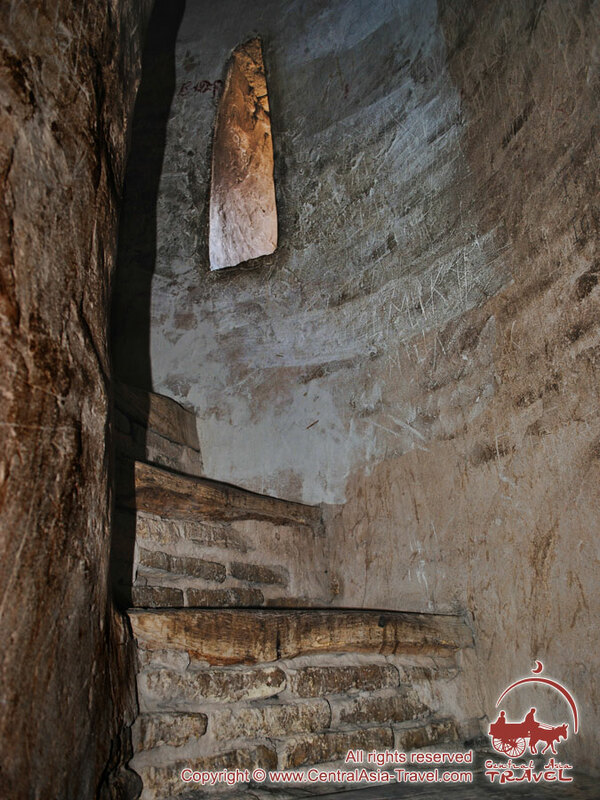 The gorgeous interior wall decoration and delicate carvings on the doors, pillars and balconies of the surviving Kunya-Ark structures makes you feel as if you are inside a precious jewel box; and the unique flavor and aura of the citadel help understand the mysterious Orient better.